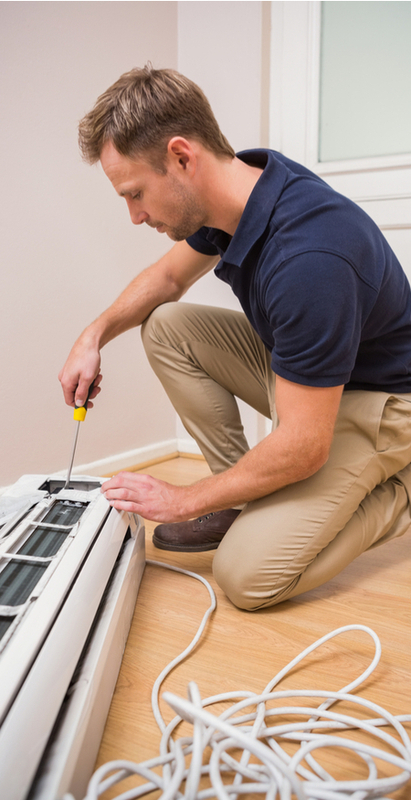 The need for air conditioner repair and heat pump service can come at the most inopportune times like in the middle of the night or worse in the middle of an extreme heat wave. Regardless of when your AC or heat pump calls it quits, the experts at Pelles Heating & Cooling will come to the rescue. Our technicians are on-call 24 hours a day, 7 days a week to service any make or model of equipment as efficiently and affordably as possible. We also offer air conditioning maintenance. As AC units age, they can become less efficient causing them to cost more on a monthly basis and lead to unexpected repairs. Scheduling a seasonal AC tune-up can prolong the life of your cooling system, prevent unexpected break-downs and costly repairs as well as save you money on your monthly energy expenses. If there is warm air coming from your vents, something’s not right. This could be a sign that your air conditioner’s freon levels are low or your compressor is failing. Over time, dust and debris can collect in your home’s ductwork and vents. This can obstruct airflow, causing poor air quality and rising temperatures. A leak near your unit could indicate a refrigerant or condensate leak. Both issues require urgent repair for your family’s health and safety. A properly functioning air conditioner should not be making squealing, grinding, or pounding sounds. Any unusual noises are signs that something is wrong with your A/C unit. Unpleasant smells coming from your air conditioning? This could be a sign of mold, an electrical fire, or wire burn. When you’re looking for quality craftsmanship, reliable service, and affordable pricing for your HVAC installation, maintenance and repair needs, look no further than Pelles Heating & Cooling. © 2019 Pelles Heating & Cooling. All Rights Reserved. Website designed by ServLocal.